Join us each week as we drive through the world of animals, pets, and the charities that support them. 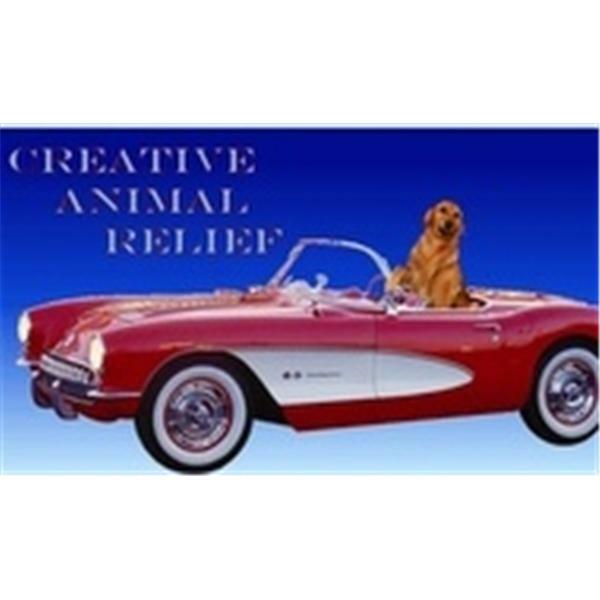 Creative Animal Relief (CAR) is a group of Artisans dedicated to helping the animals that we love, through our creative talents. CAR provides donations to animal charities all over the world, relief that is empowered by the handmade movement, empowered by us pawing it forward! Join us as we discuss Halloween and your animals! Safety tip and tricks! Join us as we drive through the world at war and how dogs have been used to protect soldiers, yes the dogs of war, the unsung heros of the canine world is what we will be discussing! Join us as we discuss making your own dog food, and don't forget your pen and paper becuase you will want to write down some of the great recipes we'll be sharing! Join us as we navigate the world of charities. Our guest, financial expert, Gregory Ferguson will fill us in on the ins and outs of charitable giving! Join us as we tackle the tough subject of cancer in our dogs. Our sepcial guest will be Gary Nice, president and ceo of the National Canine Cancer Foundation. It may be tough to hear, but we will certainly cover things you NEED to know!